These printables are great! My husband and I bought a house last August, and we have projects coming out of our ears. 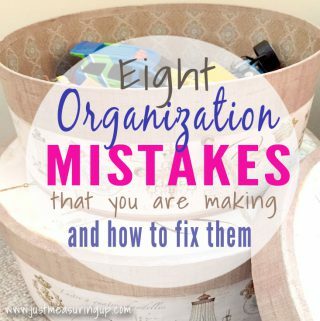 I’m naturally disorganized, so trying to get everything in order is a huge challenge for me. I appreciate you posting these! I love these!! We just bought a house and the colors are horrible. I did paint my dining room/school room over the weekend. 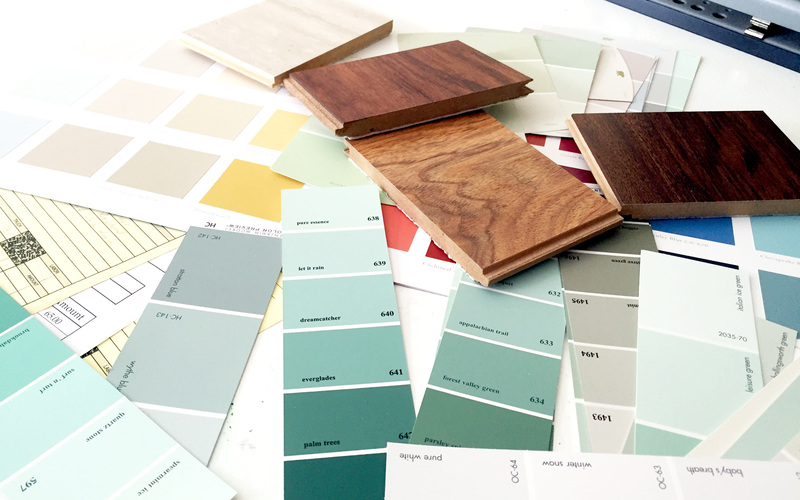 We are in the midst of home renovations and I agree that it can certainly be overwhelming. We have not gotten to pint choices yet. We are waiting for the floor, cabinets and counters to be installed first. this is awesome, thank you. I am in the middle of getting everything organized around here, so this is very helpful. thanks, and have a nice upcoming weekend. I love these and your handwriting is fabulous! Wish I could download that! Pinning and printing, thank you so much. Those printables are adorable! What a great way to keep track of all your projects! Thanks so much for sharing at the #happynowlinkup! Sounds like a great way to stay organized! Thanks for sharing with SYC. This is a really smart idea. I also like how pretty they are. When its pretty I am much more likely to remember to use them. Great idea – everyone needs to organize their projects. You must have read my mind! 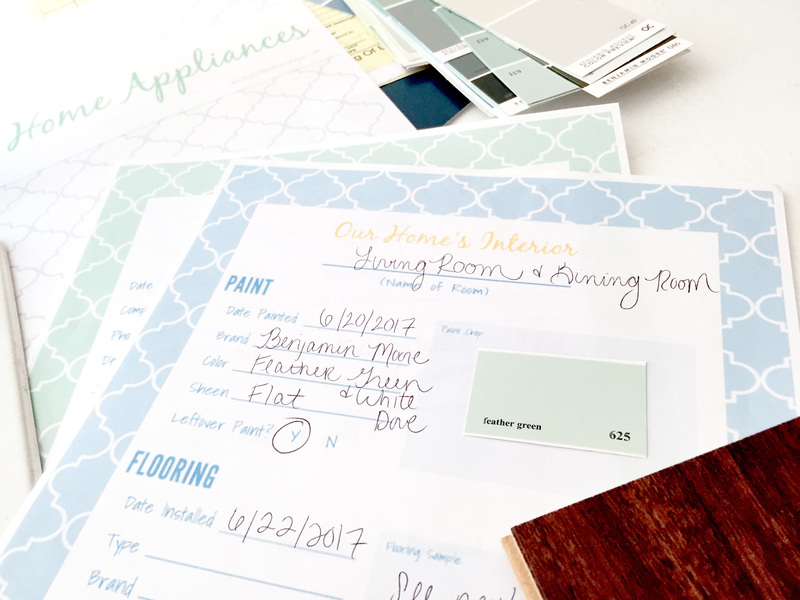 I was just thinking the other day I needed to write down our paint colors for our house. 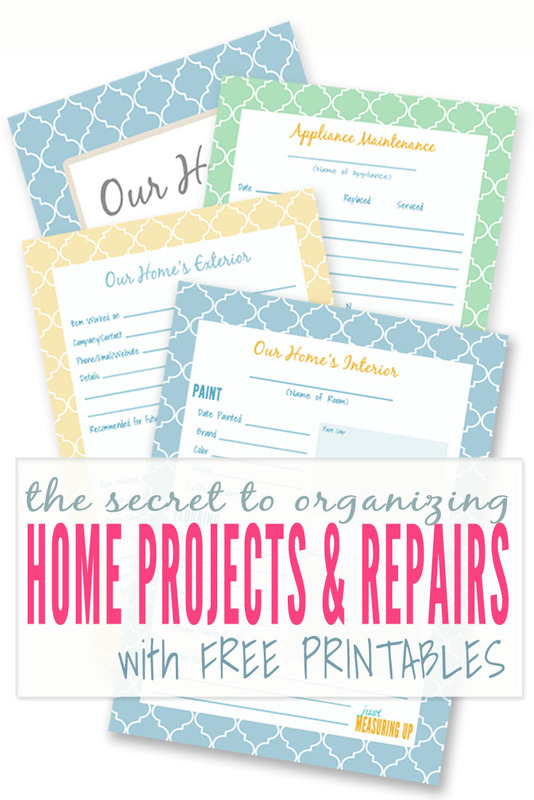 Great printables! Thanks Cassie!! :) now you can keep them all in one place! Thanks so much, Sue! We appreciate he compliments and shares:) have a great week! 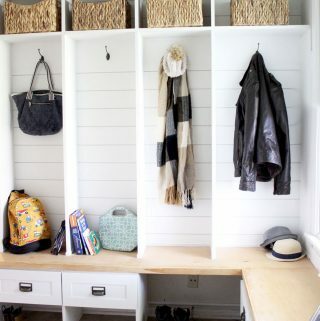 Such a great idea for staying organized. Thanks for sharing these great printables! I also wanted to let you know you will be the feature this week at the Friday at the Fire Station link-up! Thanks Jen! I was so excited when I saw it featured! Thank you SO much! Truth be told it can get quite hectic when doing home improvements. I know that these printables would be such a great help to keep things under control. How fabulous are these printables!! I’ve pinned them to the party board so i can use them later and also so others can download them too. Thank you for linking them up at Create, Bake, Grow and Gather this week. I’m delighted to be featuring the printables at tonight’s party. You are very welcome, Ronald! This is so helpfull! I love being organized and having a clear head while I engage in some home projects! 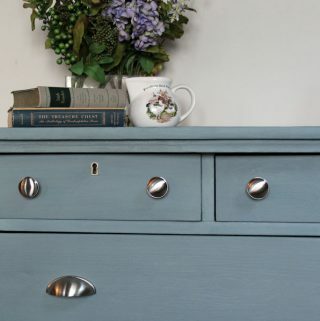 Just found your blog, my husband has wanted a work table that works for him! Love the fold away work table! partipoodle !!! Wondering where to find one! Hi Carrie! So happy you found us 🙂 We love doing DIYs with work tables and storage, so we definitely have a bunch. 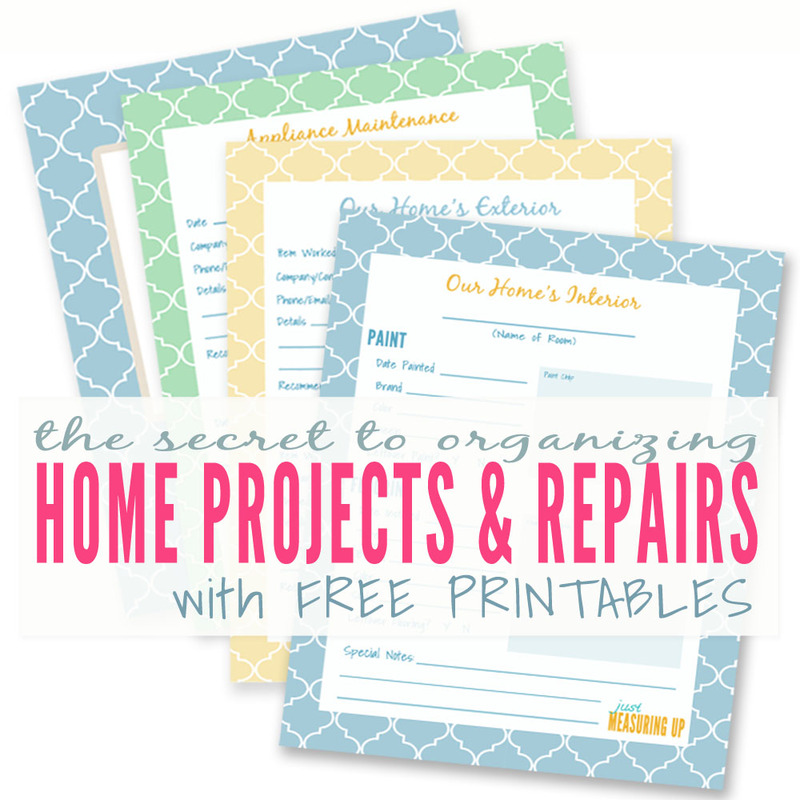 I’m glad you like the home improvement printables too! They are great at keeping everything organized. Our dog is actually a labradoodle 🙂 We got him on a farm in Pennsylvania. He was the only one in his litter with black fur (the rest were golden colored), and the breeder said his fur would turn gray, which it did 🙂 Thanks again for your compliments! Hope you are having a lovely week!